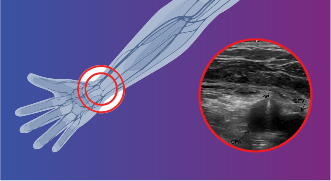 CME Conference - Arterial Access Summit: Advanced Transradial and ultrasound guided arterial access. Advanced Transradial and ultrasound guided arterial access. The "Arterial Access Summit: Advanced Transradial and Ultrasound Guided Arterial Access" conference is designed to bring our audience of physicians, nurses, and techs content valuable to current transradial operators. This conference is intended for physicians, nurses, and technicians. The Foundation for Advanced Cardiovascular Education and Training (FACET), Provider #0007001, has approved this program for 6 AMA PRA Category 1 Credits™. The Foundation for Advanced Cardiovascular Education and Training (FACET) was reviewed by the Accreditation Council for Continuing Medical Education (ACCME®) and awarded accreditation status as a provider of continuing medical education (CME) for physicians. Physicians should claim only credit commensurate with the extent of their participation in the activity. To receive credit, attendees must complete the following steps: sign-in, attend the program, and complete an evaluation. Content and views presented in this educational activity are those of the faculty and do not necessarily reflect the opinions or recommendations of FACET. This material has been prepared based on a review of multiple sources of information but is not comprehensive. Participants are advised to critically appraise the information presented, and they are encouraged to consult the available literature on any product or device mentioned in this activity.